Târgu Secuiesc (Kézdiszék) is the easternmost city that is populated mostly by Székely Hungarians. It was the center of the historical Kézdiszék region. 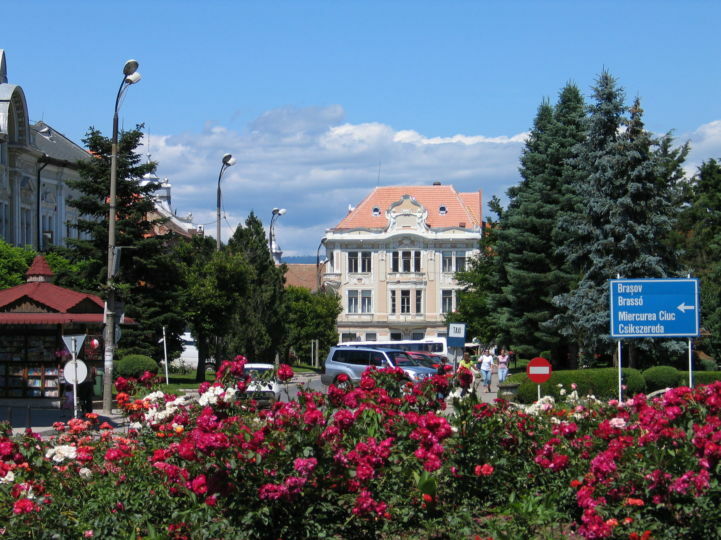 Târgu Secuiesc is a relaxing small city in the valley of the River Râul Negru. 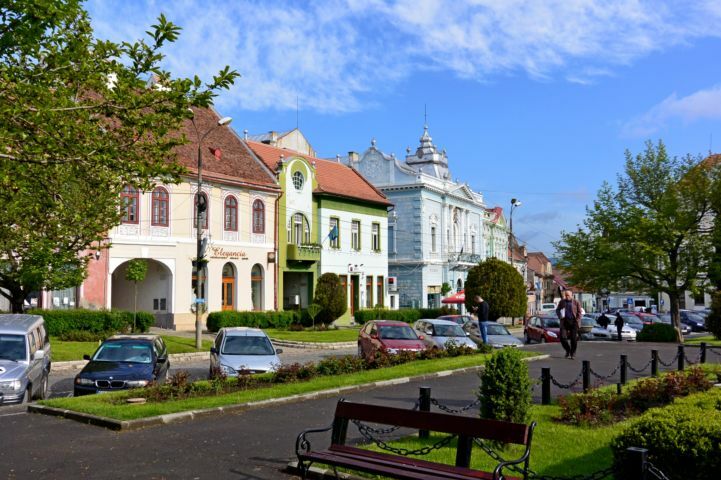 A town with a population of 20 000 of which 91% are Hungarian, the Székely cultural heritage is still considered something to be treasured here. The area was once the site of a Roman military camp which protected the Ojtoz Pass. The “kézdi' part in the Hungarian name of the city refers to the 11th century settlement of the Székelys called Százkézd. The city was first mentioned in 1407 and it became a market town in 1427. In the middle ages, it was known for its craftsmen and guilds. A unique feature of the city's structure is that the gates of the houses surrounding the main square (the old market) are also the ending points of streets. There 73 so called courtyards like these in the city. 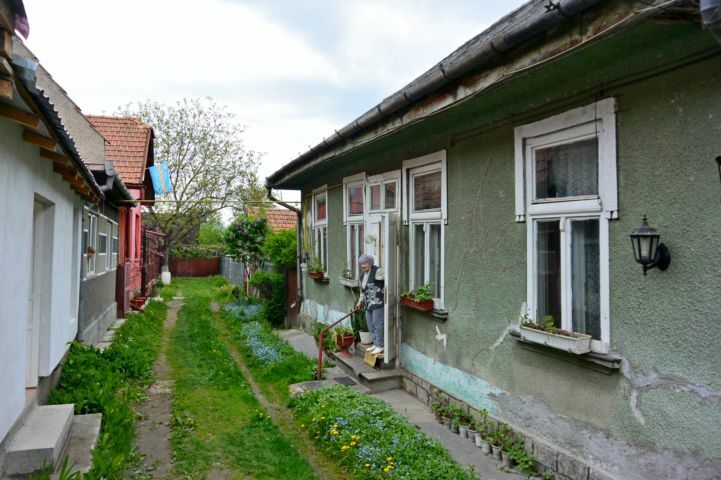 Târgu Secuiesc is often called the city of guilds, leather-workers, and courtyards. 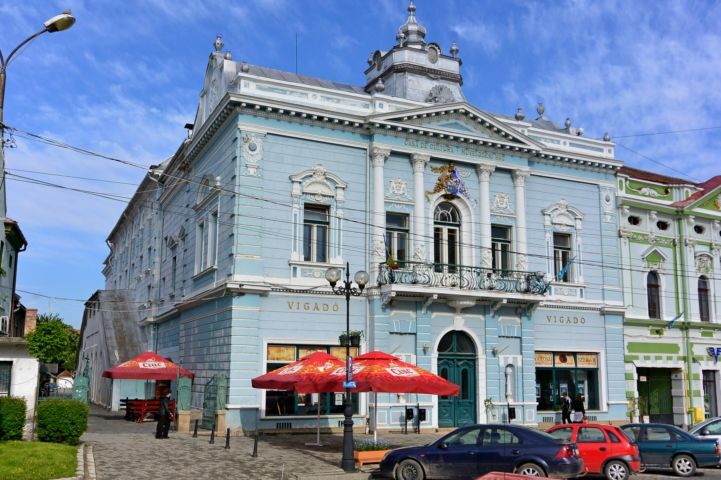 Târgu Secuiesc evolved from the market that is now the main square. The first settlers divided the four sides around this area amongst themselves. These so called courtyards which form a ring like shape around the main square are a unique sight of the city. Most of these begin at the end of the square but there is also a more loosely structured second ring of courtyards. The courtyards resemble alleys with a width of 2-4 metes and varying lengths between 25-180 meters. 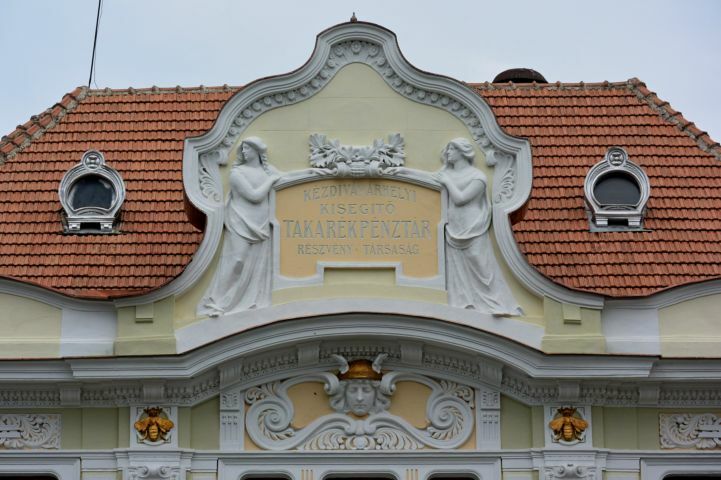 The identical size of the courtyards are due to a law of the Székelys which said that every child should inherit an equal share of the father's property. Some of the courtyards still bear the names of these families: Jancsók, Csiszárok, Balogh, Kovács, etc. After 1851, the law was annulled and instead of naming them, the courtyards were numbered. Today the last courtyard is the number 73. The Székely jack-of-all-trades was a legendery cannon-maker and cannoneer of the Hungarian Revolution of 1848 who died at the battlefield of Kökös. Áron Gábor made the cannons himself in order to help the cause of the revolution. 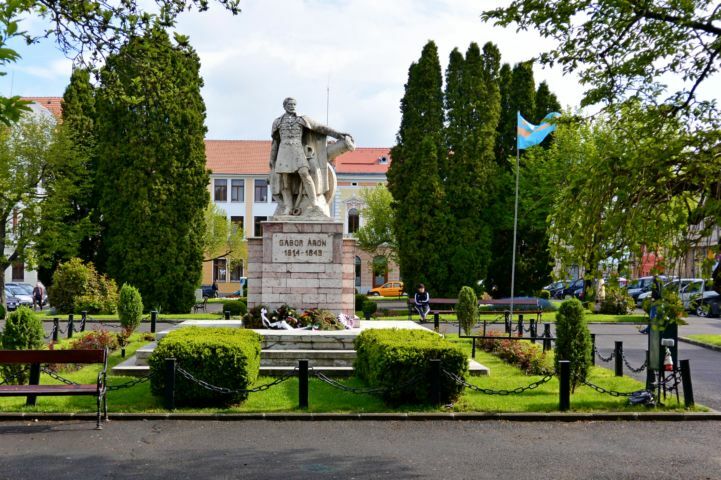 He was overseeing the manufacturing of weapons in Târgu Secuiesc. At the western end of the main square stands the old Hotel Vigadó, built in 1903-1904, which today serves as as community center. It has a theater that can seat 400 people and a conference center for 150 people. The Town Hall, located north to the main square, was built originally as a bank in 1907 in the style of the Art Noveau. In the front wall of the building the head of Mercury, a symbol of trade can still be seen. It is one of the biggest and most important building of the main square. 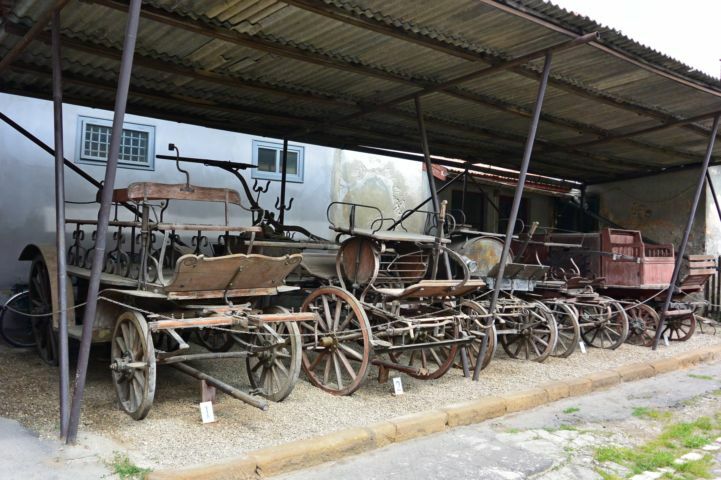 The museum located in the Town Hall is a perfect destination for tourists interest in folk arts and local history. Tools and products of traditional manufactures are exhibited amongst them a copy of Áron Gábor's cannon. It also houses a collection of dolls wearing traditional clothes. 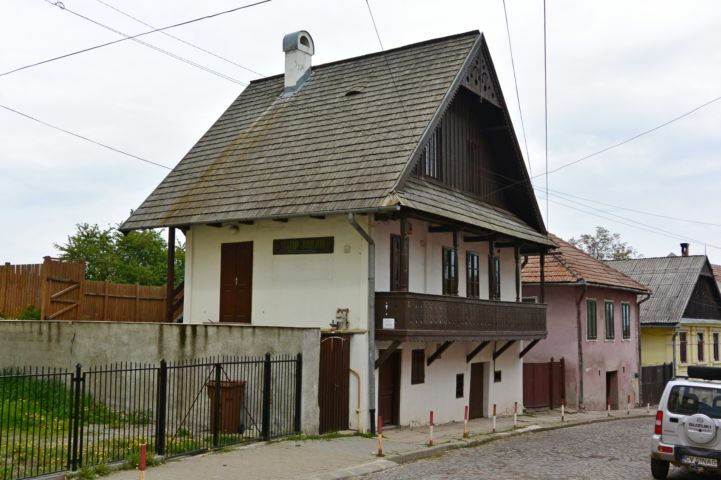 A wooden house built in the distinctive style of the city in 1817. Originally, it was a place for a confectionery. Many of these traditional wooden houses were destroyed or completely altered. The church built between 1770 and 1783 on the site of an older church showcases forms of the late Renaissance, Baroque and Classicism. It burned down in the great fire of 1834 but was rebuilt in 1838. 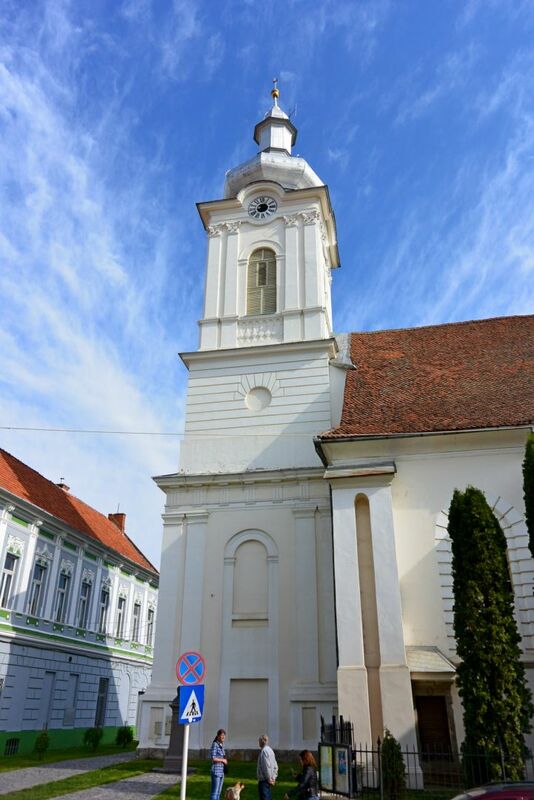 Today it is one of the largest churches in Southeast Transylvania. The Neo-Baroque church was built in 1727. The altar-piece depicts the Coronation of the Virgin Mary. The church bell was cast in 1771. A famous bishop of Târgu Secuiesc who lived through the horrors of World War II and the Romanian communist system, took part of the Second Vatican Council. He is commemorated by a square named after him where a statue of him stands. Mózes Túróczi was the assistant of the legendary cannon maker and soldier Áron Gábor. His workshop was located West to the main square, between Petőfi Street and Turóczi Mózes Street – behind his house that still stands today. Of the 70 cannons of Áron Gábor, 64 was cast in this workshop. There are memorial plaques on his house about his work. The statue was made by András B. Vetró and was unveiled by the Minister of Foreign Affairs in 1993. 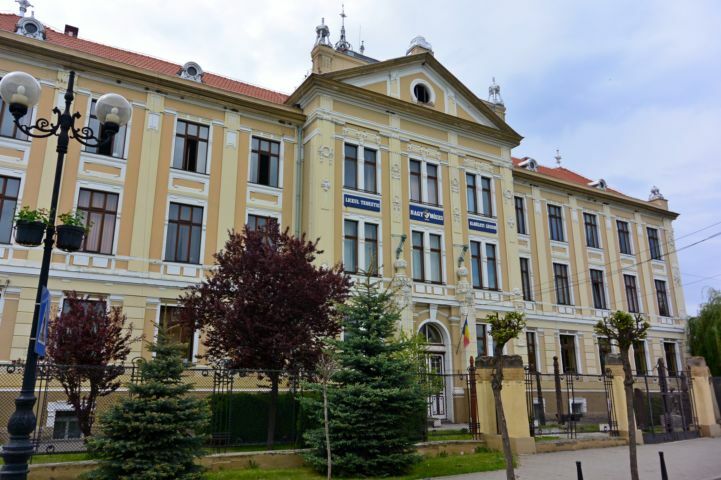 The school was founded by the Franciscan friar Nagy Mózes in 1680 and it is the oldest school in the county. Józsiás Molnár and his wife, Emília Gaál left their land to the city to establish a park. Their mausoleum can also be seen here. There are yearly celebrations and sales held in the park. The first library of Târgu Secuiesc, the Casino Library was founded in 1842 in based on the ideas of István Széchenyi and Miklós Wesselényi. It was named after Wesselényi in 1998. Târgu Secuiesc was a military center in the past. 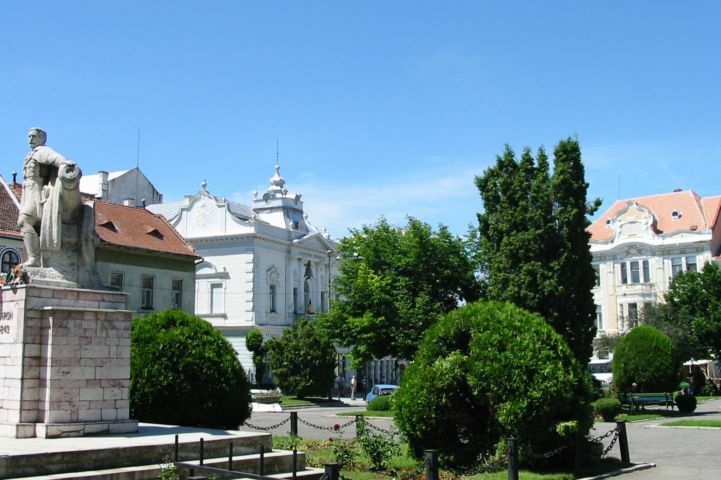 One of the city's important monuments is the Székely Military School. The Neo-Classicist building is still an impressive sight. The school was founded by János Purczell and opened in 1823. One of the newest sport arena of the country was built in 2007. Since then, it was the venue for many national and international sports events.